We have big plans at Kunsang Yeshe Centre to build a beautiful residential retreat centre here in the Blue Mountains, Australia; creating a haven of inspiration and tranquillity for everyone, based on the wisdom & psychology of Tibetan Buddhist principles. 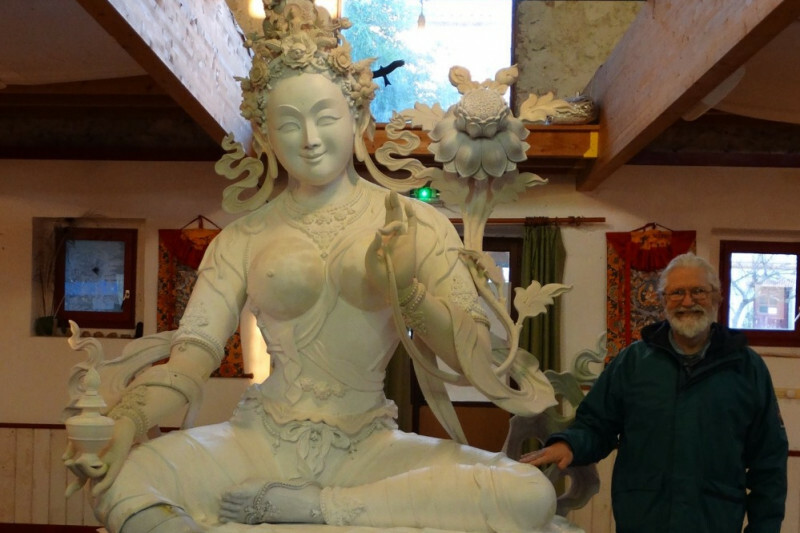 To help achieve our grand vision, renowned Tibetan Master Kyabje Zopa Rinpoche, advised us to commission the French Sculptor, Bertrand Cayla, to sculpt a 3 metre Yellow Tara Statue – Nortenma, Female Buddha of Abundance, Prosperity and Success - in all projects, spiritual & worldly. We are delighted Bertrand accepted our commission and after nearly 12 months she is now ready to travel from Toulouse to Sydney, Australia. 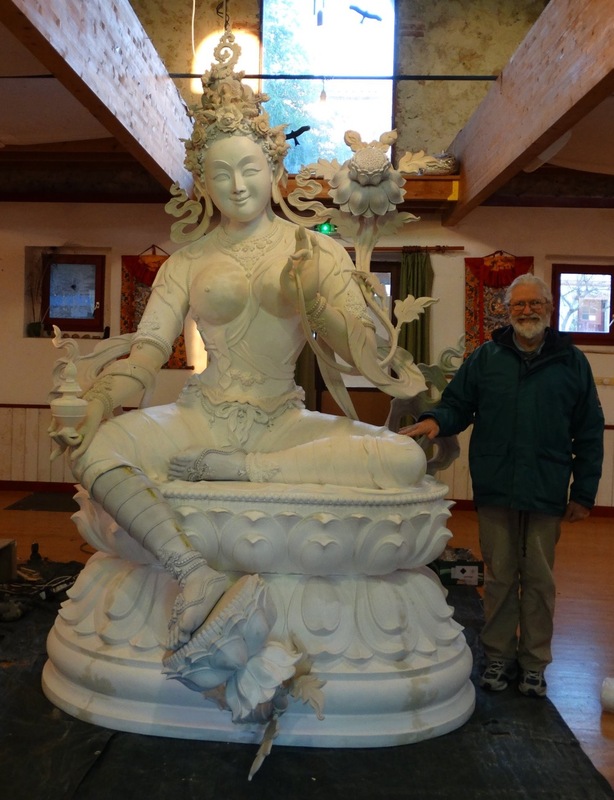 Many generous people have donated but we still require more funds to see the project fully completed – shipping, painting and consecrating this magnificent & powerful Statue of Tara. You Can Help: We need your support & hugely appreciate whatever you can offer. Yellow Tara may be a means to attract good fortune and wealth but far more important than that, she can inspire in us a paradigm shift of attitude. The true source of all wealth is to eliminate the poverty of heart and mind. The magic of Yellow Tara is that she reflects our potential for transforming habitual self-cherishing into infinite compassion and a sense of connection to all sentient beings across the universe. What You Receive: Infinite merit and special dedicated prayers by Tibetan Nuns for abundance, success & prosperity in your life. We will be warmly inviting all our donors to the Consecration Ritual of Nortenma - Yellow Tara of Wealth & Eliminating Poverty, offering images to those unable to attend. Oceans of thanks and blessings for being part of Buddha Tara’s journey. 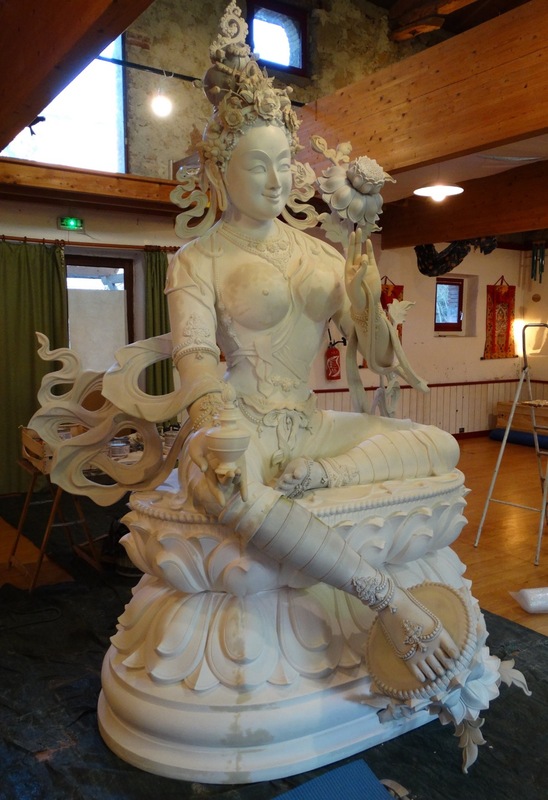 It is such a beautiful, magnificent statue of Yellow Tara (Norgyunma)! Many praises to Tara & Many Blessings to Kunsang Yeshe Retreat Centre.